Complete with hoppers and receiver assembly. Built on a rigid and stable frame and consists of two conical hoppers, each with a hinged trap door. Trap door of our Apparatus, is operated by a quick release mechanism to allow a free fall to the released concrete mix sample. A cylindrical mould is fitted beneath the two hoppers. 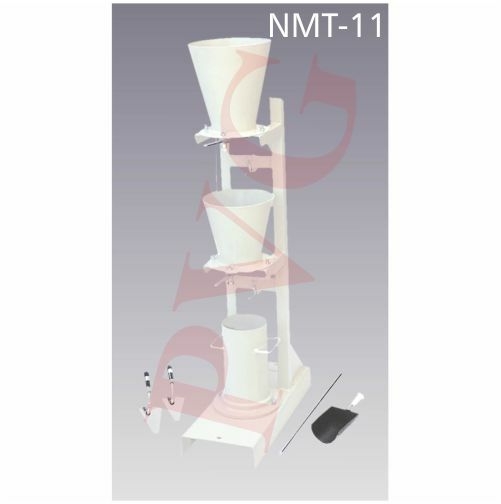 Hoppers and receiver can be easily removed for cleaning. This pedestal stabilizes molds during compaction. 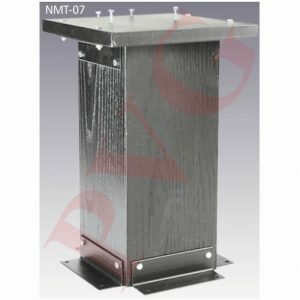 8 x 8 x 18″ wooden post capped with a 12 x 12 x 1″ steel plate. Mounts to a concrete slab with four angle brackets. 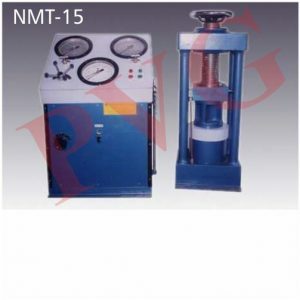 Concrete Beam Moulds offered by us are used for making concrete beams for flexural testing. Premium grade raw materials are used for manufacturing our Concrete Beam Moulds with a view to ensure their reliability and strength. 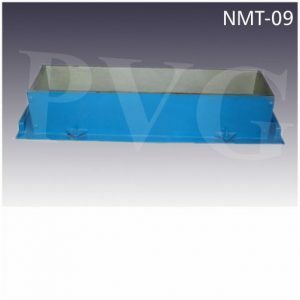 Furthermore, we make available these Concrete Beam Moulds at market leading prices. • 100 x 100 x 500 mm. • 150 x 150 x 750 mm. Made with premium grade raw materials, with cutting edge performance. Robust construction, reliable for serving the purpose of testing cubes. Recommended for concrete where nominal size of coarse aggregates does not exceed 38 mm. Comprises of machined mild steel table top of 762 mm. 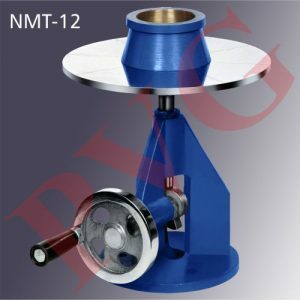 diameter, and fitted on a heavy duty Cast Iron frame. A cam action provides a free fall of 12.5 mm. to the table. Equipped with a conical mould of 120 mm. height with base diameter of 250 mm. and top diameter of 170 mm. is also provided along with tamping rod size 16 mm. diameter x 600 mm. long.